I received these sparkling CBD waters back in August when I wasn’t as familiar with why people use CBD. Cannaki had sent the flavors Lemon Lime, Berry Blast, and Coconut Mojito. I brought them along to the Made in America music festival thinking they would be perfect to have with drinks and or as a chaser. So what is CBD? It is made from organic hemp, but there is no HTC. It has a wide variety of uses and can be bought just about anywhere. What was new to me was the term “Nano” CBD. Nano- meaning nanotechnology just explains the fact that the CBD is so small on a nano level that it can become infused into the drink. Nanotechnology also occurs for beauty products, medications, etc. Some restaurants even make their own CBD. I tried the CBD infused Lemonade at Bubby’s. I personally am not a sparkling water fan because I do not enjoy the carbonation. I do not even drink pop, or prefer champagne because of this. My only exception when it comes to carbonation is for special occasions and drinking purposes. 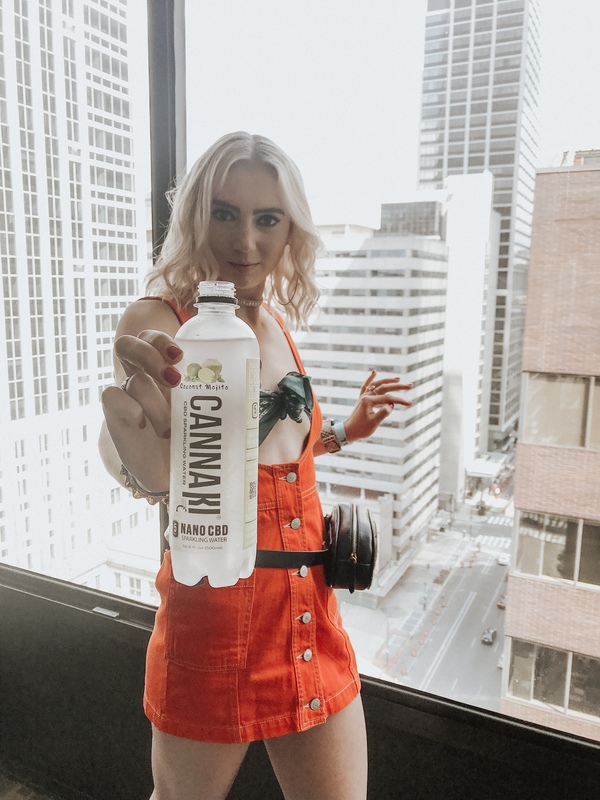 The Cannaki Sparkling CBD Water was the perfect element to mix in with our drinks before a long day. Instantly you do not feel calmer or relaxed, but over time after drinking the entire bottle, you may or may not feel something. After speaking with friends, everyone had a different opinion about CBD. Some people feel sleepy, nauseous, relaxed, it is all different. I have only felt nauseous once after drinking CBD (and that was trying something that the house chef apparently grew himself). Whether you have a sparkling or still water preference Cannaki has it all. They even have CBD water for pets!